If you found a stray USB stick in your mailbox, could you resist the temptation of picking it up and popping it into your computer to take a look around? Right now, you’re probably thinking that you’d never dream of connecting an untrusted device to your PC. However, a recent study conducted by students at the University of Illinois found that nearly half of 297 thumb-sized storage drives randomly placed around the campus were picked up and inserted into machines. 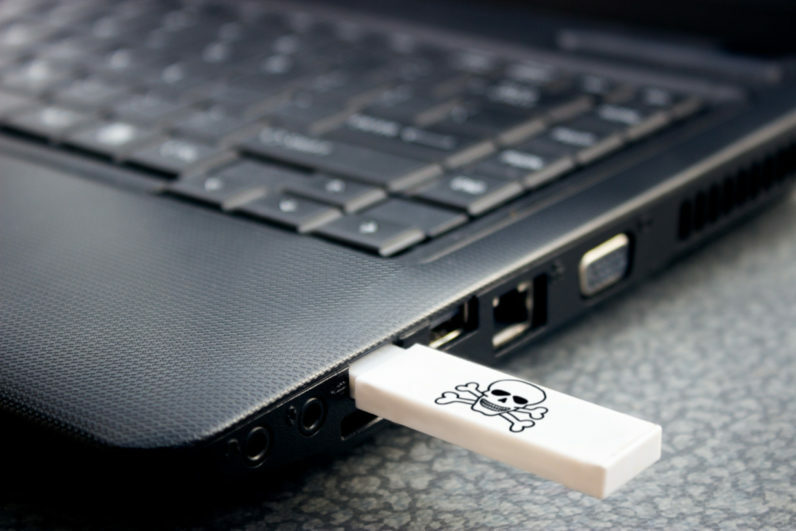 It appears that some Aussie hackers have taken note of this experiment and have added their own malicious twist, as a number of USB dongles riddled with nasty malware have started showing up in the mailboxes of residents in Melbourne. Cops in the area have described the malware saved on the dongles as “extremely harmful,” and have revealed that recipients who inserted them into their PC experienced “serious issues.” Although, it’s currently unclear what those issues were. If we were to hazard a guess, though, we’d say that the sticks contain malware that infects a system without the end user realizing. Once installed on the machine, it proceeds to pull personal information, such as usernames, passwords and bank account details. It’s also perfectly plausible that they contain ransomware that’s designed to lock users out of their computer until they pay a hefty ransom fee. Whatever the case may be, if a strange USB drive happens to find its way in your mailbox, be sure to destroy it. Checking its contents out of curiosity or hoping to uncover its owner is not worth the risk of compromising not only your computer, but your personal data too.